Rather than talk about books all day [although I wouldn't mind doing so] I've come to a consensus that we book-lovers actually do more than just read. We're pros at Netflix and stealing the remote from our poor siblings. We also know the best ways to sneak a Starbucks frap into the movie theater. Don't ask. 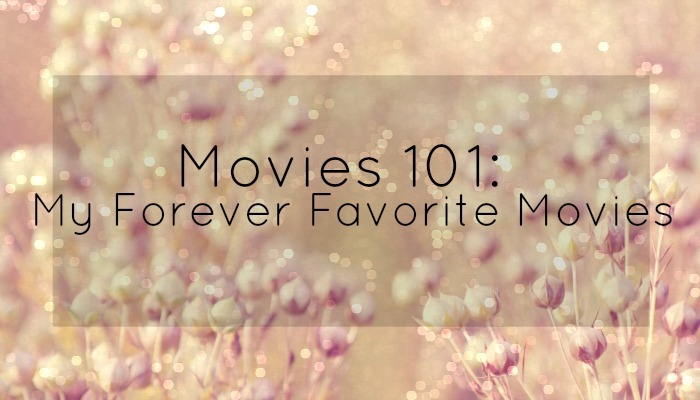 But beyond all that, we know some of the greatest and latest TV show and film recommendations. "One push can change everything." Oh ladies, Captain America is in this movie. I originally watched this back in 2012 (when I was 12) and loved the concept of this film. It follows two main protagonists with special abilities [telekinesis and sighted with the future]. Together they attempt to take down a government agency that is using a dangerous drug to enhance their powers in hopes of creating this 'super advanced' army. 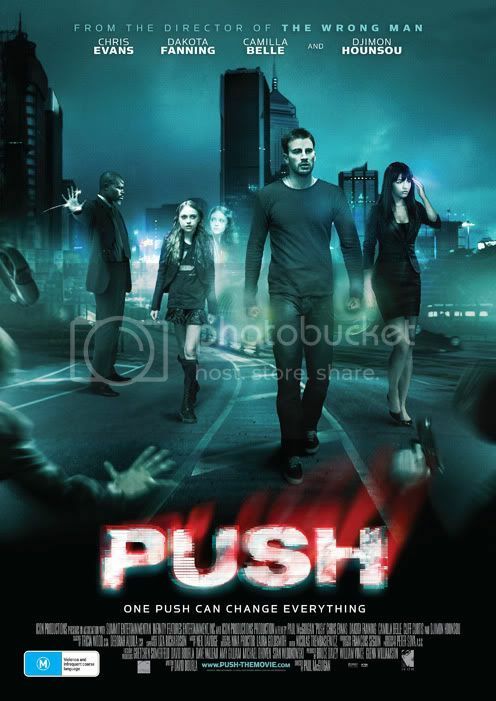 Push is a major science fiction thriller, and we all know how much popularity these get nowadays. Okay now that I think of it, this cover looks super cheesy and phony. That's because it was a 2009 film, give the past a break. Trust me, it's nothing like that! It's super technical and the ending just pushes you to think about what the world would be like if we had these superhuman abilities. I call it a stricter form of the TV show Heroes. "Dream it. Earn it. Live it." If you've got no talent whatsoever [like me] but you'd like to see extremely talented people in action [and potentially mope], this movie is for you. Now, now. Don't get this confused with the 1980's film. This is the re imagined and modern 2009 version. If starts out following several different students as they're auditioning for a prestigious performing arts school in NYC. It shows their evolution through the next four years in the school and how some grab their chance at 'fame' while others are not as successful. Fame has been one of the most realistic movies I've seen. Being a high school student, it's nice to see the same dynamics of competition and stress. There's dancing, singing, acting, and some steamy romance! JUST WATCH IT! Vampires, werewolves, Frankenstein. Oh my! I'm talking to all my paranormal lovers out there. This movie is a bunch of fun. It's a 2004 film, so it's kind of ancient, but the effects and quality don't feel old-school at all. I don't want to go into much detail because I'll probably spoil something without knowing. Any huge fans of Hugh Jackman? [You see what I did there with that joke]. Just imagine Wolverine fighting werewolves and you'll more than 1000% enjoy this movie too. "It's the coolest job ever." I managed to get a Disney movie on this list. Let's just roll with it. Nicholas Cage is.. UGH. OHH. AWW. Drop-dead amazing. I love him so much as an actor and am on a mission to watch all of his movies. I'd recommend this to all the fantasy readers out there. 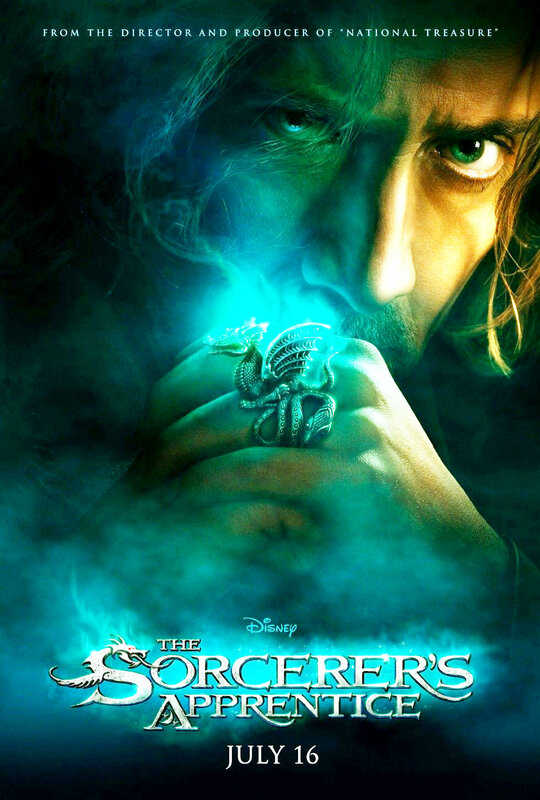 It's close to Harry Potter, as it is a movie about sorcerers and magic. Now usually I don't associate myself with Disney movies. I would go into a full-scale argument on how I'm too mature for those movies or whatever, but this one, I have to say never escapes any demographic. Even my parents love this movie. I was inspired to write this post because I spent my Saturday night chowing on Udon noodles and The Sorcerer's Apprentice. "The story of a life and everything that came after;"
Many of you have either read the book or see the movie before. It's a tragic one, to say the very least, but an inspiring film about what life after death looks like to a teenager who was taken from the world too early. The story follows a teen as she is one day raped and killed. Half of the film shows her in this 'spirit world' and the other shows how other people are dealing with her loss, her father especially. She tries to communicate to him... and it leads to a very unexpected ending. "Would you push the button?" The story follows Norma and Arthur, a couple that is living an average and normal life until one day. A wooden box with a red button arrives on their doorstep. Push it, and you'll receive 1 million dollars. However, a stranger somewhere else will die. The box messes with their lives until they are broken. There are irrevocable consequences for thinking that just a button will wish all your problems away. A movie that is terrifying but all explainable and the most surprising ending I've ever seen before. I have a weakness for spy movies. There have been what....like 3 Spy Kids movies out. I always somehow associate these films with the Sharkboy and Lavagirl ones but they're really nothing alike. 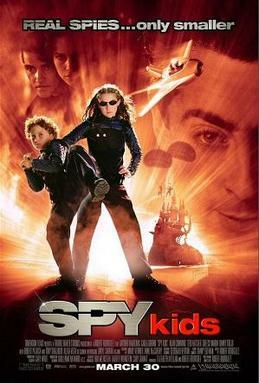 Something that's easy to sit through and fun to watch with the kids-- Spy Kids. And you'll be surprised by how many adults love this movie and call it their 'go-to' children's film. My parents even love putting this on in the car while I'm sleeping with my mouth open. And even though I know they can't watch it [because they're sitting in the front], I know it's all just an excuse for them to listen to it while none of us are watching. It's a great twist on the classic Grimm's fairytale, Hansel and Gretel. Two brothers and sisters grow up alongside each other and are one day are abandoned by their parents because they can no longer provide for them. They walk aimlessly in the woods unless they are face to face with a house made out of candy. They go inside [stupidly] and meet a witch who wishes to cook them in the stove and eat them. Straight from the beginning, they become these so-called 'hunters'. 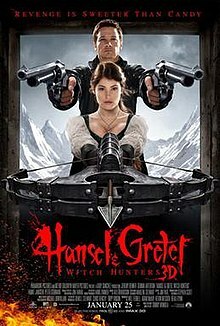 They murder the witch and cook her before she can cook them and so starts their career in the witch hunting business. An epic retelling with blood and witch guts. I absolutely loved the brother and sister dynamic and totally agree when I hear people say there isn't enough of it in TV and media these days. My favorite movie is definitely The Untouchables :) It's French and absolutely hilarious! Out of all of these, I've only seen Spy Kids. I don't even remember how old I was when that came out, but I was really, really young. We went to the drive in to see it, and I loved it. Push is such a good movie. Love it! A lot of these I haven't seen before. I am a huge Nicolas Cage fan! His older movies are the best, but I will pretty much watch him in anything. I just deleted my previous comment. And someone was nice enough to point out that Nicholas Cage was not in The Lovely Bones. My love for him clouded my judgement and I always think he's in every movie. My mistake but yes Nicholas is bae! I wish they'd make another PUSH movie! 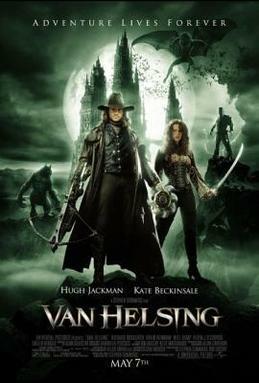 Van Helsing! It's the first vampire movie I ever watched and I remember feeling amazed by the plot and both Kate and Hugh Jackman are so badass! Still one of my favorites. 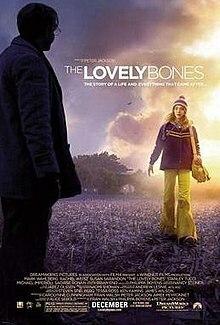 Nicholas Cage wasn't in the Lovely Bones, it was Stanley Tucci. He also plays the guy from the Hunger Games. OMGG I JUST REALIZED THAT I THOUGHT IT WAS NICHOLAS CAGE RIGHT NOW. And I'm laughing hysterically. Haha thanks omg I'm dying of daughter. Girl, you're about to die. I haven't seen any of these movies, aside from Spy Kids. I think! I just tend to gravitate towards certain movies.